People are always looking for signs. For meaning. For something more. Even on my “Bachelor in Paradise” guilty pleasure show, there is a scene where Claire is having an emotionally intimate moment with her dude on the beach, sharing about the death of her dad. Suddenly, she squeals as she notices a turtle going out into the ocean after laying a bunch of eggs. She says it is a sign from her dad. New life=new beginnings. I especially love stories where parents have DREAMED of their child’s name, gender, or arrival. My heart hurts when I hear of the signs that parents receive after they’ve lost their children. 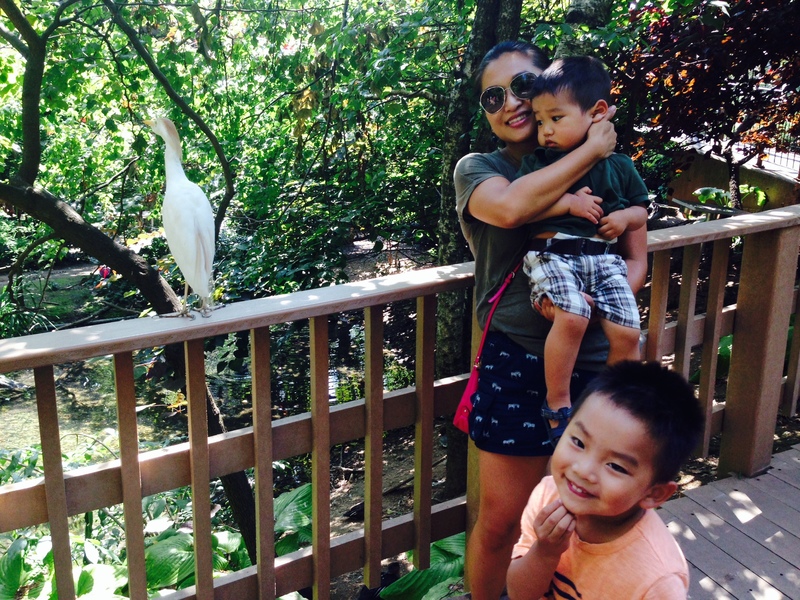 When they are dealing with their unimaginable grief, their child’s favorite animal just happens to show up in their backyard, or a red cardinal ends up visiting them EVERY SINGLE DAY while on vacation. Or in the case of Kevin and Marina Krim whose two beloved children, Lulu and Leo, were murdered by their nanny in NYC in October of 2012. One can argue that such signs are frivolous and reaching for connections when there aren’t any. Sure, there is no proof of any connection and it can all be chalked up to coincidence but you also have a choice. To look for magic or not. Today, I ended up being out with our boys from 8:30 am to 5 pm, for three back-to-back-to back activities. I just wanted to eke out the remaining sliver of summer. During our second activity of the day, around the sixth hour of being out, AFTER the lucky little guy emerged from his beauty sleep in the car+stroller, I was WIPED and started to beat myself up. I had hoped that I could rest a bit if both of them had fallen asleep during the ride over but alas, Micah and I ended up cruising all over the park and zoo while Baby Bro snoozed. I really didn’t know how I was going to make it, strolling about 100 pounds after an already active morning, wrangling both of my wriggly guys who had just MacGyver’d out of the public bathroom stall at the zoo to expose me in my huge Korean underwear. Thankfully(? ), I only exposed myself to a friendly nanny from our co-op who happened to be visiting the zoo to pick up her charge. I was able to exchange warm greetings while the door remained open. The boys and I ended up in the aviary. That was when things started getting magical. 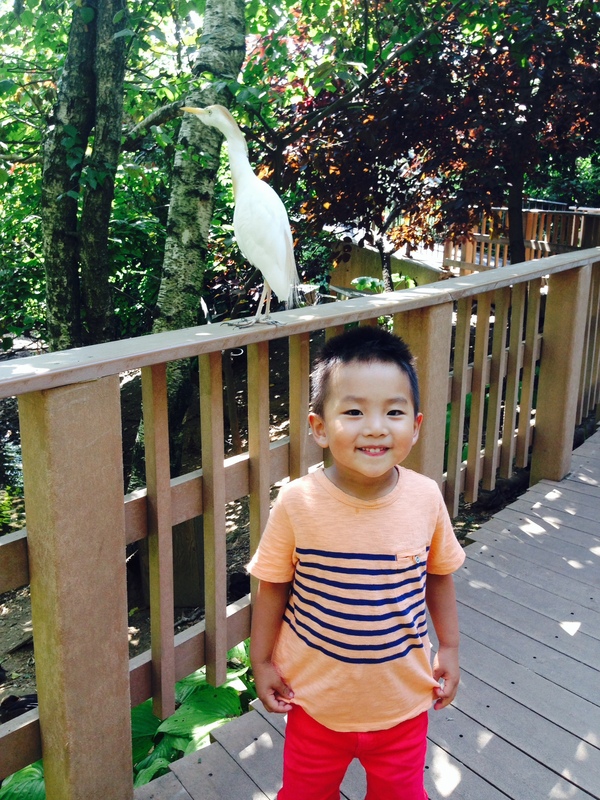 Recently, we had only speed-walked through the aviary because we were always with our little buddies. I would chat with the mamas as we chased our kids up and down the ramps. 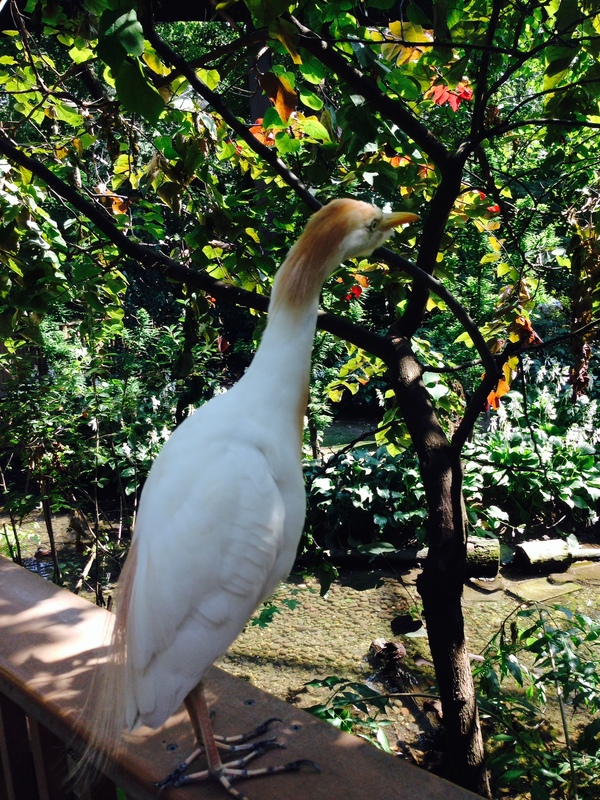 We never really stopped to admire the macaws and blue-billed ducks and other winged creatures. I noticed for the first time today, just how mesmerized my baby was. Micah, too, but especially Ellis. And just as I had started beating myself up for being out all day and burning myself out with two more days left in the week, a skinny white bird perched in front of us, within touching distance from us. He showed no signs of flying away. We were beaming, thrilled to be in his presence. To have him stay awhile. As cheesy as this sounds, I felt all this love and gratitude gushing out in that moment. So grateful to be alive and for the very reason I was so wiped out: TO BE PLAYING WITH MY KIDS TOO MUCH! Just minutes before, I was sighing as I zipped up my shorts, about to konk out in the bathroom while peeing but as I clenched my boys in my arms with this amazing white bird with blonde tufts of “hair” joining us, I was gifted with a precious memory I can tuck away for good. I received the “sign” to be, “It is all worth it, Mama. Your toiling away for them is NOT for NAUGHT.” I got pumped with a jolt of energy to last me a few more hours. The thing about the pursuit of magic? The more you look, the more you’ll find. This entry was posted in from the parenting trenches, musings, on the road again, these are the days of our lives, you got me feeling emotions and tagged hope, I saw the sign, in pursuit of magic, signs, When God Winks by ajummama. Bookmark the permalink. This was so awesome! I loved the new hope and energy you found to make it through the rest of the day! thanks! I keep thinking I missed your bday…is it 8.25? Love this. I think magical moments and the hope/fortitude they give us are so important!